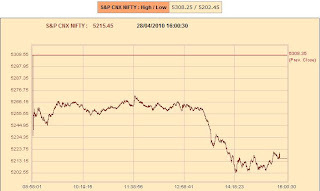 The expiry day was controlled by bulls and though bulls were not able to completely engulf the previous bear session, they managed to close Nifty higher. 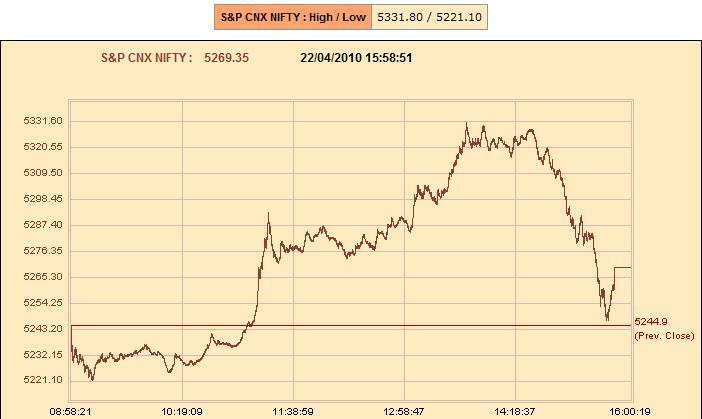 It is the beginning of the new series today and large accumulation is seen in 5200 puts as well as in 5300 calls and it would be too early to analyse the options data. 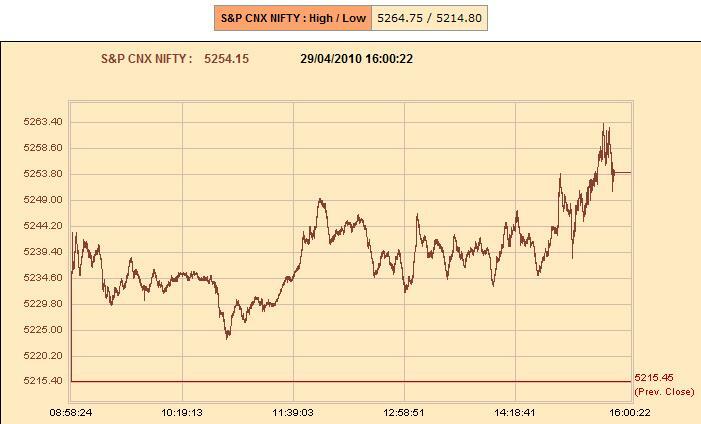 In the penultimate session, bears completely dominated the markets and pushed it almost to a level below 5200 and closed very near to that. 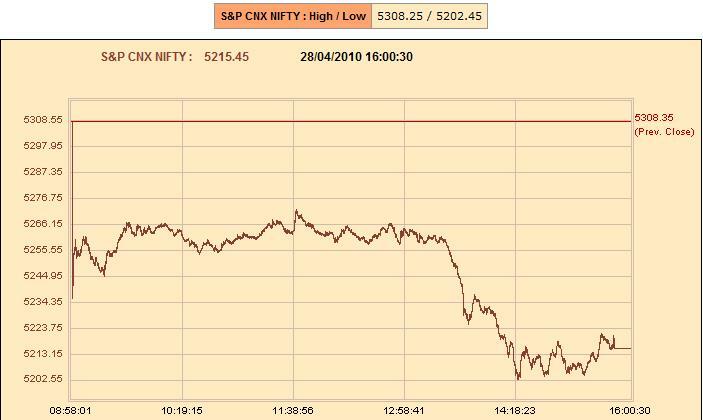 As mentioned yesterday, any down move in that session will be equally nullified by bulls in the expiry session and it looks like bulls will charge back and push Nifty to a close of near 5300. 5200 puts reached more than 1 crore in open interest twice during the series and it looks like the strong hands which accumulated the puts the second time are out with heavy unwinding seen yesterday. 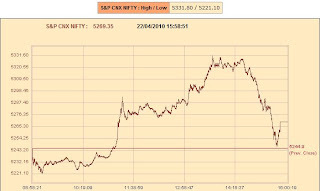 5300 puts also saw huge unwinding and the contrarian signal this is generating gives a view that Nifty can close almost near to 5300 levels for the April series. 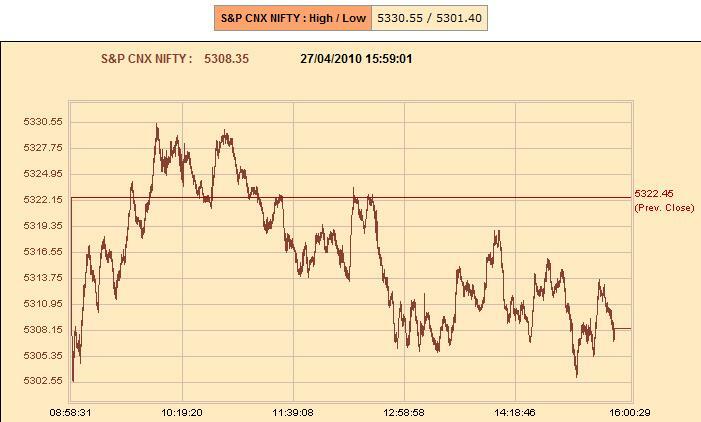 Yesterday bulls were unable to push markets again beyond the key resistance level of 5332 and markets closed near another key level of 5306. 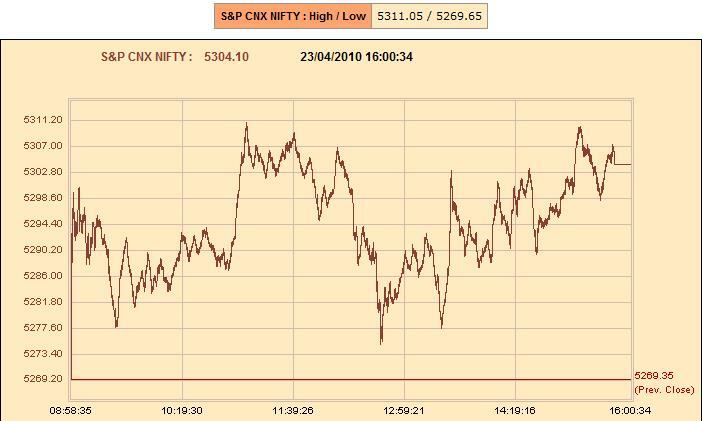 The is unwinding seen in 5200, 5300 calls and some accumulation in 5300 puts yesterday. This is not a bearish sign and would infact point to some amount of bullishness. Pattern-wise also markets are showing bullish signs. The view as of now is any down move of today will be equally compensated by an upmove tomorrow for the expiry. 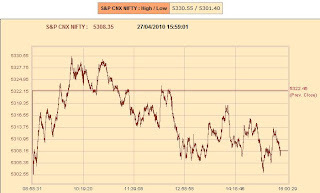 Nifty had a continuous five day run up and was able to retest the crucial resistance level of 5332, but could not close above that level. 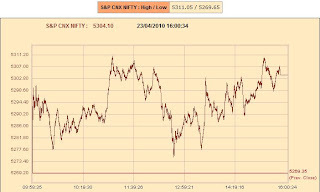 The accumulation in 5300 puts and 5400 calls is huge at this stage and both are well above the 70 lakh mark. 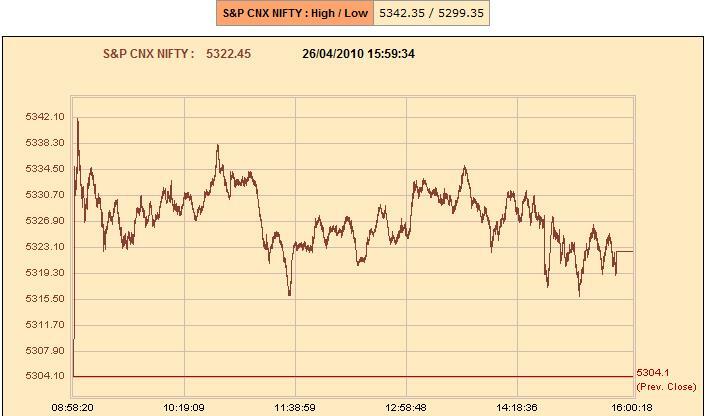 It looks like there will not be any major move beyond 5300 and 5400 and is likely to fall back into that range if such move happens for this expiry. 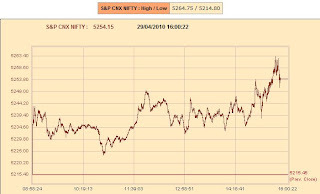 Friday markets swayed a lot during intraday and in the end closed on a high note above 5300 as well as the 20 DMA. Any move above 5332, would bring back the bullishness and it is more of bullish than bearish as we enter into the expiry zone. The options data on friday saw accumulation of 5300 and 5200 puts and unwinding in 5400 calls, which is also suggesting bullishness. The key levels to watch out for the week are resistances at 5354, 5406, 5440 and support at 5263, 5198, 5120. 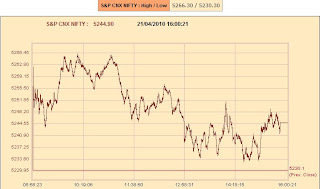 Yesterday markets saw heightened intraday volatility and also bulls pushed it to test the crucial level of 5332. The 20 DMA is currently at 5290 and any move above that would bring back the bullishness now that weak bulls of yesterday are out. Accumulation is seen in 5200 puts and unwinding in 5300 calls which also points to a good amount of bullishness setting in. Any move above 5332 would trigger the next round of powerful short squeeze and would push markets to 5387 and 5406 levels in the near term. Yesterday markets stayed above the previous close throughout the day, but was unable to test and break the barrier of 5287 on the upside. 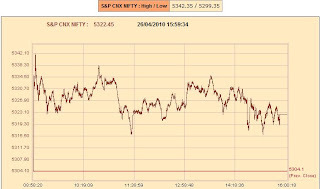 With 5234 as the key level, where bulls and bears both placed traps during the whole of last week, markets continue to sway with level. It looks like the range boundedness could continue for another session or so before a strong move happens. The key levels remain the same.